Looking for a game that takes the destruction of an entire planet and turns it into one of the cutest and most entertaining things you’ve ever seen? Look no further, because you have found The Tiny Bang Story, from developer Herocraft Ltd. 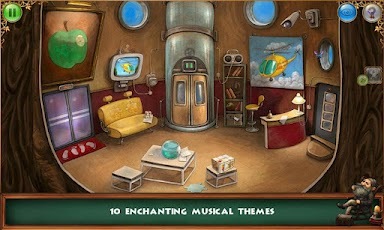 This Android game is perfect for people who love solving puzzles or hidden object games. Tasked with putting back together the planet of Tiny Planet, you must find all of the missing puzzle pieces while simultaneously working your way through challenging puzzles and brain teasers. There is no text in the game, so you must devise your own plan on how to complete each stage, while using your intuition to decide where to touch next. One word of advice, make sure you collect the flying insects to build up your hint meter. Although there have been a plethora of Android games lately capitalizing on the hidden object and puzzle solving genre, you won’t find a better executed game than The Tiny Bang Story. The motion is fluid and you rarely find yourself touching the wrong item. The puzzles range from simple item finding to very difficult brain teasers that will leave you scratching your head for hours. The graphics are comprised of beautifully hand drawn backgrounds and images that create an amazing backdrop to the sprites and items in the foreground. The backgrounds in The Tiny Bang Story feel whimsical and mystical, and make for a fantastic atmosphere. The images are crisp and responsive, and obviously steampunk inspired. The background music and sound are equally well crafted. You will often find yourself humming along to the cheery background music or being delighted by the fine tuned sound effects throughout the game. You don’t often come across an Android game with no speaking or text on the screen, so music and sound effects were of the utmost importance for this game, and the developer really came through with a well rounded product. The developer recommends rebooting your device after installation, and that is sound advice. Also, on your first boot you may notice a lag time of a few minutes as the game downloads additional files. After the one time download you should not experience any additional delays. 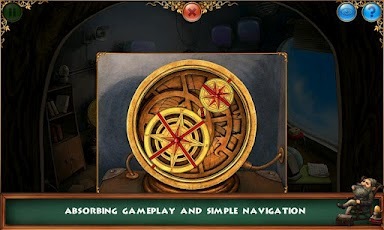 The Tiny Bang Story includes 30 mini games or puzzles, which should keep you satisfied for quite awhile. 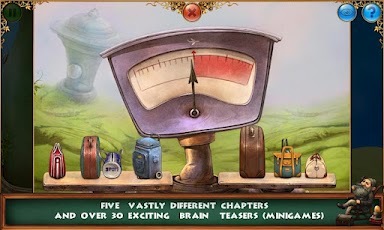 If you love puzzles and brain teasers and you’re looking for your next Android game, The Tiny Bang Story should definitely be your next purchase. This is a wonderful game that will delight people of all skill levels and provide hours of entertainment. 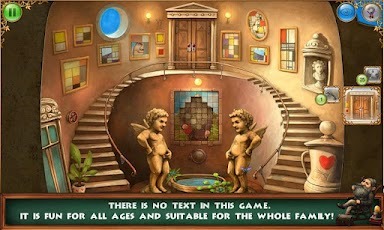 The Tiny Bang Story was last updated September 25,2012 and is available for Android devices running 2.1 and up. The game is 22mb in size and is rated Everyone. A small expedite fee was paid by the developer to speed up the publication of this Android game review.